First, download Sonar from its website at http://www.sonarqube.org/downloads/. Then, extract the zip file and the we can start configuring. Note that I will demonstrate the configuration with a MySQL database. You can use any other database you prefer. In the sonar folder, go to the conf-folder and open sonar.properties. You will see many commented lines. First comment line 48. That’s the connection String to the default database Sonar uses. After that, we need to uncomment the MySQL connection string. (Note that other database may uncomment more properties). Now sonar is up and running, we need to configure Eclipse and Maven to use sonar. First, install the Eclipse plugin for Sonar. you can find it at http://dist.sonar-ide.codehaus.org/eclipse/. After installing the plugin, we need a little configuration in Maven to use the plugin. 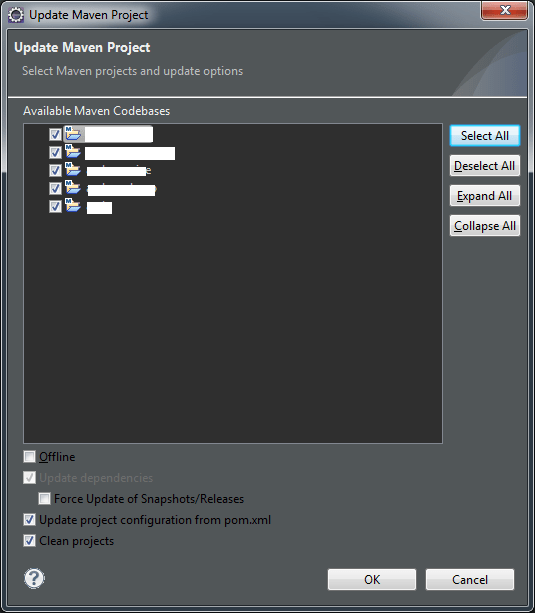 Now sonar and Maven are configured, we need to update your project in Eclipse. 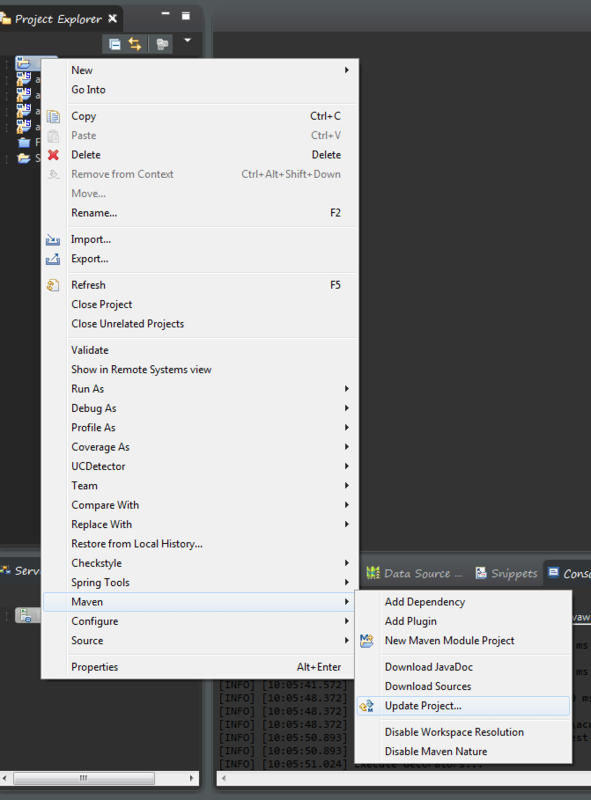 Right click on your project in Eclipse, go to Maven en click on Update Project. Then the Maven settings will become active. Now we are ready to run Sonar in Eclipse. 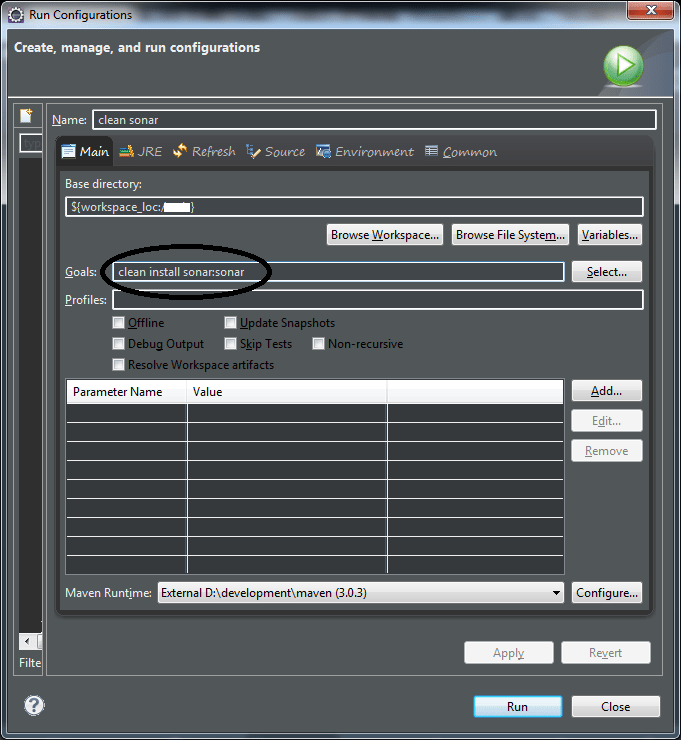 Right click on your root project, select run as and click on run configurations. Create a new Maven build and insert into your goal: clean install sonar:sonar. Then click on run and your project will show up in Sonar. Enjoy! I would say it is enough to update one OR the other, but not both. If you put the config in .m2/settings.xml, it will only apply to yourself. If you put it in conf/settings.xml, it will apply to all users using the same maven-installation. If you’re the only user on your machine, it doesn’t matter which you chose. Heeeeeeey thank you very much! What changes need to be made to the sonar runner as I have tried the above but when I go to start sonar in the bin folder, it comes to the end of the CMD screen and says it is stopping and then it is stopped. Hi , We are currently using the default H2 database . We are planning to migrate to mysql . Can you please let me know how can we do that ?